This famous island chain, which run south west from Miami, begins in Key Largo, leads to Islamorada and Marathon before finally reaching Key West, the USA's southernmost point. 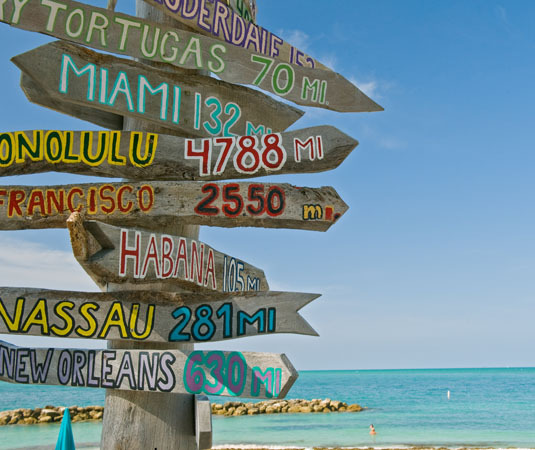 The drive from Miami to Key West along US Route 1 spans some 120 miles across a series of bridges and causeways and is one of America's most iconic road trips. Being the only land route through the Florida Keys you can expect a fair amount of traffic, but to compensate, look to your right or left and you're rewarded with views of the rooty blanket of mangroves and sparkling emerald waters. The island chain's first and longest island is Key Largo. While on-shore charms include nature trails and a rehabilitation centre for wild birds, the star attraction is John Pennekamp Coral Reef State Park, the first underwater preserve in the USA. 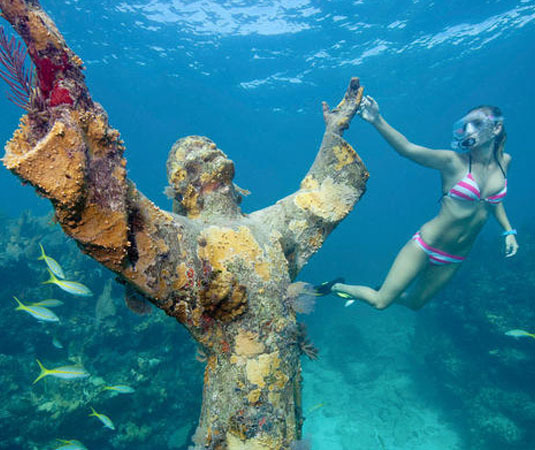 Here you can snorkel and kayak, take a ride in glass-bottom boat or don some scuba gear and marvel at the hordes of tropical fish, greet the outstretched arms of the massive Christ of the Deep statue or dive amongst one of the many wrecks. Key Largo is also famous as a sport fishing destination and there's lots of opportunities to head out with a guide. Midway down the Florida Keys, you'll find Duck Key. It's small and secluded with aquamarine water all around, so sure to lull you into a state of total relaxation. Close by is Marathon, regarded as the family-friendly destination of the Keys, with activities for everyone, such as golf, snorkelling, the white sands of Sombrero Beach and an abundance of watersports. 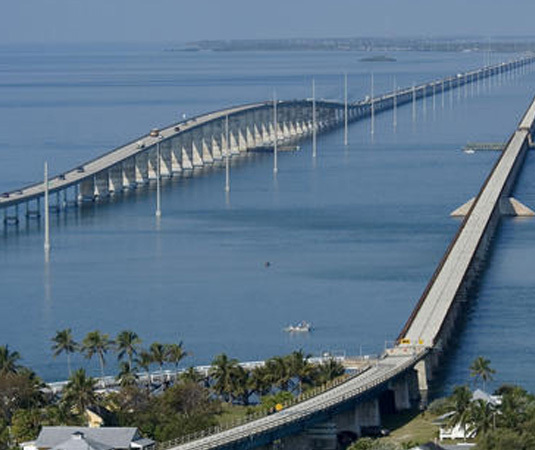 The impressive Seven Mile Bridge, one of the longest segmental bridges in the world, leads you to the Lower Keys and ultimately to Key West, the most renowned island in the region. Made famous by Ernest Hemingway, this tiny island is the most popular destination in the Keys and is totally unique, with palm-lined streets boasting Victorian homes, gingerbread conch houses and mansions along with dive shops, legendary pubs and fun-loving characters aplenty. There are ample museums you can lose yourself in, historical sights that include the Key West home of President Harry Truman, there are three theatres and the Florida Keys Eco-Discovery Centre. However, one attraction not to miss is the amazing sunset celebration every night at Mallory Square with a variety of colourful street entertainers adding to the laid-back island ambience. Premier Holidays offer a fantastic selection of hotels in the Florida Keys, see our brochure for further details. 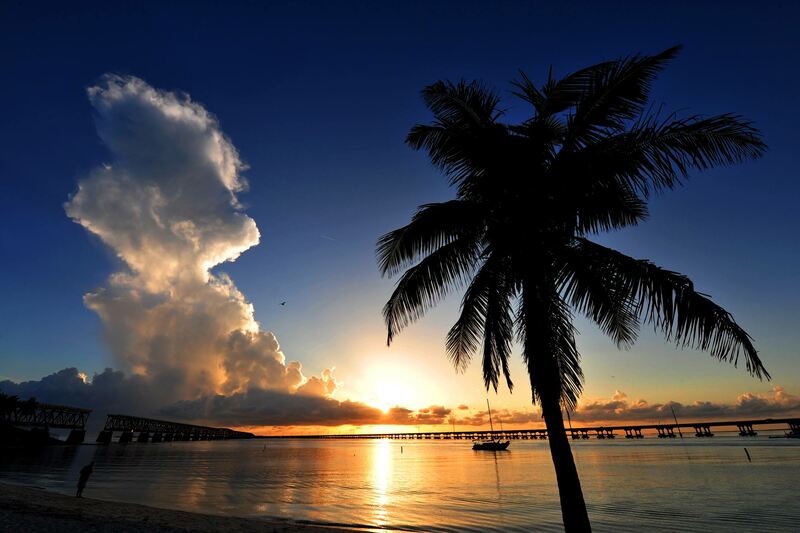 Call and speak to one of our travel experts who have experienced Florida Keys personally. The flying time from the UK to Miami is around 10 hours. Key Largo is then about an hour’s drive from Miami, Duck Key is 2 hours 15 minutes drive and Key West is approximately 3 hours 30 minutes drive. The Florida Keys enjoy a subtropical climate with warm weather throughout the year. Winter months are particularly busy thanks to hot sunny days, low humidity and scarce rainfall. By late May thunderstorms can be expected, however, rarely last all day. The humidity can be higher during the summer months but the is usually more bearable here than on the mainland.